In honor of opening day, Padres Jagoff is making a triumphant return. The Padres are facing the sad sack Mets this morning, led by relative unknown Jon Niese. 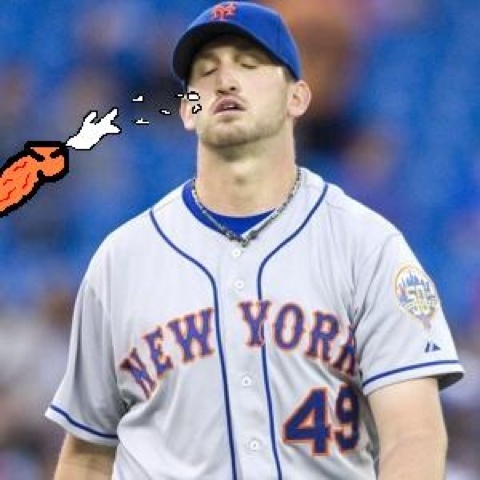 As this exclusive photo shows, win or lose, Jon Niese can always enjoy a nice spurt to the face to relax after his inevitable shelling by the “potent” Padres lineup. ← Jayson Werth is thirsty!